The brand AdvoCare has been gaining its popularity over the past decade thanks to a vast number of high-quality products they offer to its consumers. They range from healthcare, skin-care to dietary supplements. One of the most noticeable lines of products manufactured by Advocare is the one intended for those who want to lose weight. The product includes a variety of products from multivitamin supplements, dietary powders to energy bars and other kinds of nutritional drink. The Advocare products for weight loss are quite popular among those who love a fit body and a healthy life. However, some of you may feel confused because there are quite many products available with different benefits. That’s why today, I made a list of the best Advocare products that can be used to assist you to lose weight. 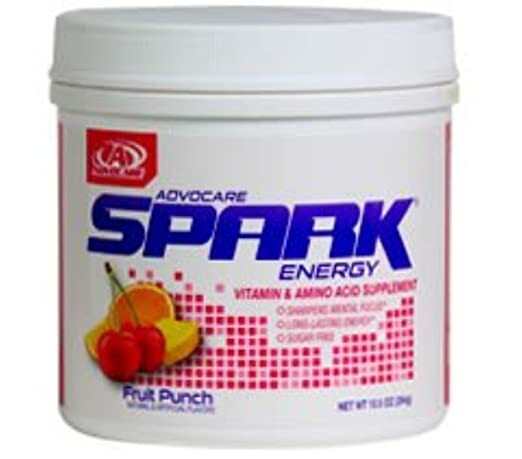 ​The first product I want to talk about today is Advocare Spark Energy with Fruit Punch Flavor. It has a large number of vitamins and other nutritional substances that could help you maintain the mental and physical condition all day long. As you know, a proper diet, coupled with an appropriate exercise schedule can accelerate your progress when losing weight. A bit of energy booster is exactly my favorite thing before I go working out. It helps me to nail the sessions more easily. The supplement from Advocare has a great formula which features some ingredients such as essential amino acids and substances that can provide users with adequate energy to use for their activities, especially in working out. Take Taurine as an example. You can see Taurine is a quite a popular ingredient in many sports drinks. It can assist your body to resist being exhausted by maintaining the focus of your nervous system. 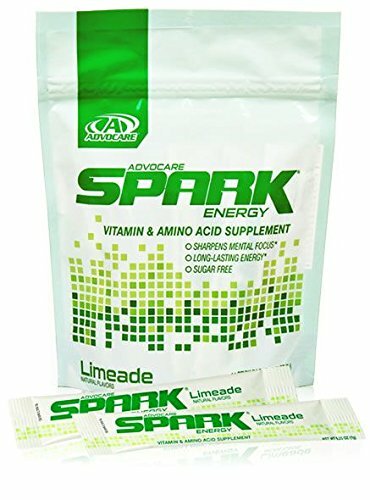 Also, Advocare Spark Energy includes caffeine, one of my favorite ingredients when considering a pre-workout product. You can have the amount of caffeine that is equal to that of an average cup of coffee in each serving of Advocare Spark Energy. As you all know, caffeine is well-known for its influence on your whole body. It not only can raise your blood pressure but also can help the nerves to pay attention to what they are commanded to do. In that way, it provides energy for your activities in both physical and mental ways. When taking Advocare Spark Energy, it is advised to start with a small-size serving and see if there is any side effect. Stop using right away if you notice anything abnormal. The manufacturer recommends that you should use Advocare Spark Energy about half an hour before your session. The product gives your body enough time to process the ingredients and turn them into the substances that it can use. It is not advised to take the product on the day that you’re off from working out. Great formula with various vitamins and nutritional ingredients. 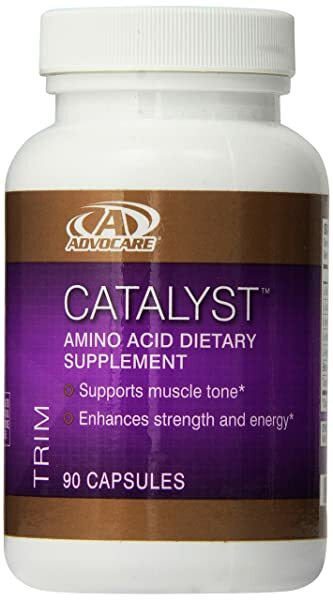 Catalyst Amino Acid is the next product that you can consider while choosing a supplement to lose weight. It features the main ingredient amino acids. The supplement is an excellent choice for those who need to stay lean when in a low-calorie diet. Thanks to the chain of essential amino acids such as L-isoleucine and L-Valine, you can get a lean source of power in no time. Thanks to the chain of essential amino acids in it, Catalyst can be used as a post-workout product to recover better. It prevents the muscle from being exhausted during the workout. Advocare Spark is the line of supplements from Advocare and is preferred by many because of the benefits it offers. In general, it can help the consumers to boost their workout performance and to focus in a longer time. Advocare claims that the sports drink has over twenty vitamins and nutritional substances. They say that it can bring the power to your exercise while keeping your body having good balance. I also found that this product includes a significant amount of caffeine, improving your performance. However, caffeine is not suitable for those who are adolescents. The women who are expecting are advised not to consume it either. Furthermore, a mixture of vitamins and amino acids included in the supplement can keep you durable and concentrative. You can find a full list of the ingredients in Spark by visiting the website of Advocare or by taking a look at the label. Be careful if you are allergic to any of them! From my own experience, this supplement works well as a pre-workout product. I have worked out for a few years, and it helps me a lot to complete my schedule although I still consume other pre-workout products at the same time. However, the powder can also be consumed in the morning as a supplementary drink because its formula is not as strong as a real pre-workout product. It can provide you with enough energy for your day. Now is a substitution for your daily meals. If you are struggling to decrease the food amount to ensure the effective progress, you can consider Advocare Meal Replacement Shake. Its formula is the combination of protein, carbohydrates, and fiber. Also, it includes around thirty vitamins and mineral substances that are beneficial to your physical condition. According to Advocare, this product can be a perfect replacement for your meal. However, it also depends on your particular daily need and your health condition. I prefer to add some milk to the mixture then shake it with some water as it tastes incredible to me. Some of my friends don't go for that because they don't want to restrict the diet hard. You can also try using the product with some ice to boost the flavor. I love taking a serving in this way in the morning as the first thing after waking up. 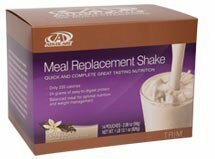 Even sometimes I feel starving because of an intensive cutting period, a serving of Advocare Meal Replacement Shakes can help me to fight against the feeling of hunger. Have various flavors. You can try other ones than Vanilla although it is the best for me. Remember to ask your doctor for necessary advice before taking any extra dietary food. You can’t be too careful, especially when it comes to your health. Some even require you to take some tests to make sure that you are eligible for consuming some particular food. It is particularly essential if you intend to take some supplements that might affect physical and mental health. To make sure that you are going to bring authentic products from Advocare, don’t forget to check the background of what you purchase. The simplest way is taking a careful look at the label on the products to verify that it should be printed appropriately and has no inauthentic signs. Another way to ensure the origin of the products is going for the authorized distributors of Advocare. You can have the full list of those by visiting the website of Advocare or directly contacting their hotline. Taking supplements to support your attempt can be a good idea if you smartly do that. I hope what I shared today is helpful. If you have any further questions, please leave it on the comment. I will try to respond as soon as possible!